John Buchan takes us back to Edwardian Britain on the eve of the First World War in the modern thriller The Thirty-Nine Steps. An inexplicable murder drives the innocent Richard Hannay, on the run from a manhunt that never seems to end, to hide in remote Scottish moorland. Disguise and deception are his only weapons, as he struggles to decode the clues left by the murdered man to prevent the theft of naval secrets by an unfriendly foreign power. 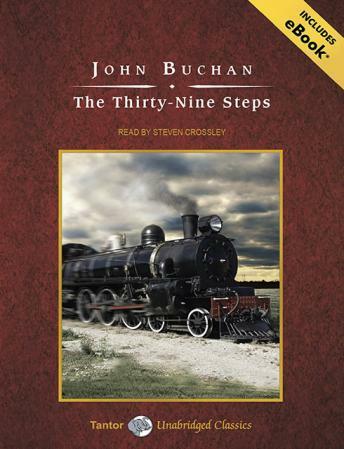 The best-known of Buchan's thrillers, The Thirty-Nine Steps has been continuously in print since its first publication and has been filmed three times, including the brilliant 1935 version directed by Alfred Hitchcock. The Thirty-Nine Steps was also a powerful influence on the development of the detective novel, the action romance, and the spy story.